He’s 42, has grey wrinkly skin and loves tummy rubs. Sudan is the last male Northern White rhino in the world. Protected 24/7 by highly-trained staff at Ol Pejeta, he leads a comfortable life. But you’d have to wonder what he’d think if he understood he was the last of his kind on the planet, and that nothing more was done to save the Northern White Rhino. 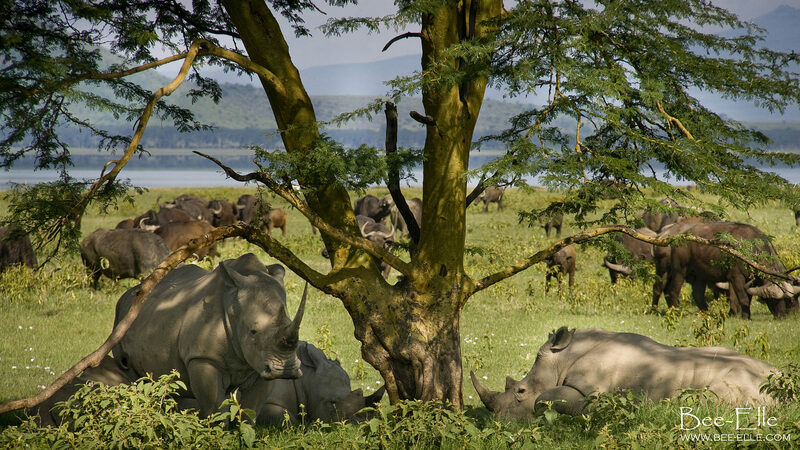 Southern White rhinos lie under the shade of a tree at Lake Nakuru, Kenya. There are currently 29,000 rhinos in the wild and they’re vanishing at the rate of 3 a day. This number represents only a fraction of the dwindling number of African elephants that roam the earth. When we look at what is happening in the East, the Javan rhino is also fast dying out. There are only about 61 left. It’s estimated that two-thirds of the world’s wildlife population will have disappeared by 2020, over a period of 50 years. In a study by WWF, the statistics reveal that the rate of species loss is 100 times faster than what is considered a normal rate. There’s no question as to the cause. Human activity is fast pushing the world’s species out of existence. The question is, how fast will we act? 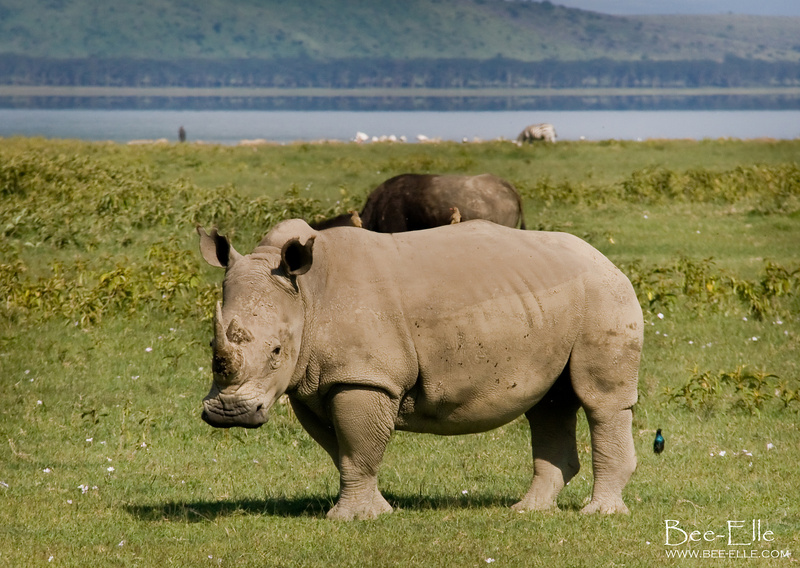 We already know its too late to save the Northern White rhino. By and large, environmental and conservation policies seem to hold a lower priority in government agendas while human development invariably takes centre stage. There is rhyme and reason for this- we need humans to thrive- but how do we ensure during the meantime that we will not be responsible for a mass extinction of species in this current human-dominated, Anthropocene, era? Countries have aspiring economic goals. Species are becoming extinct. We need to perceive conservation as an intrinsic element of a nation’s development, of good economic policy. The case of elephant poaching makes the point: it’s apparently costing an approximate $25 million a year in loss of tourism in Africa. That’s a lot of dollars that could be invested back into development. Meanwhile, the illegal wildlife trade continues to operate, spinning around $20 billion a year and is responsible for the decimation of a significant proportion of the world’s wildlife, and in Sudan’s case, extinction of his kind. It’s clear that it’s not the kind of world we want. So, how fast can and will we act? We speak about numbers so often that these glaring figures are probably now commonly-known facts, yet somehow decision-makers seem to be blind to them. As controversial debates continue to swirl around about legalising the horn trade and commercialised horn harvesting, these creatures continue to die on our watch; their fragile existence dependent on the toing and froing of words of delegates at roundtables and policymakers inside cabinets. Here’s hoping that we will see real and meaningful change for the rhinos, before it’s too late, as it is now for Sudan’s sub-species. Guest author Bee-Elle is an Australian photographer and specialises in wildlife conservation issues. Her fine art prints are available for purchase at www.bee-elle.com and she arranges safaris and cultural photo tours to Kenya at www.thewildsavannah.com. From the editor: While it’s too late to save the Northern White rhino, there is still time to secure the survival of the remaining rhino populations in the wild. What do you think should be done to protect our wildlife heritage? Should governments be held accountable for their lack of adequate intervention? Be the first to join the discussion below.